One of the first things that happens after the pregnancy test is the arrival of the book “What to Expect When you are Expecting” by Heidi Murkoff. I don’t think I know of one woman who didn’t have this book in their house during their pregnancies. Not that is the end all be all of all pregnancy books, but it is truly helpful for you to understand what is going on with your baby week by week and what you can expect to happen or not to happen. I cannot even imagine being pregnant 50 years ago (or more!) when all you had were stories passed down. As much as I love to hear everyone’s pregnancy stories and enjoy telling a few myself, there is something much more comforting about knowing what is going on day by day with your baby without the emotional or sometimes scary stories attached. So now, imagine, this amazing book put together in movie format! Imagine some of Hollywood’s best acting out what we all have thought and read an put it into a movie. If you go and watch the trailer What to Expect Movie Trailer on YouTube you will be sure to have a good laugh while picturing your husband doing the same things as these guys, well maybe not quite as bad, but you can see how they can pull some of the wildest stories and bring them to you on the big screen. 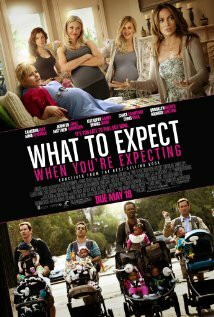 What to Expect When you are Expecting is opening in Theatres on May 18th. And I have a double pass to give away to for the Ottawa Premier on Wednesday, May 16th at 7pm at the Empire 7 Theatres. If you would like to see Jennifer Lopez, Elizabeth Banks, Brooklyn Decker, Cameron Diaz, Joe Mangianello, Denis Quaid, Chris Rock and more in this sure to be hilarious movie and are available on Wednesday, May 16th to attend the Ottawa Premier leave a comment telling me, What was the most fun thing about being pregnant? and if you haven’t been pregnant tell me what is your favorite restaurant in Ottawa (cause well, I want to find some new places for dinner). Draw for the double pass (this means you and a guest will get to go see the movie together) will take place on Sunday, May 13th. Otherwise known as Mother’s Day. Hope to see you there!